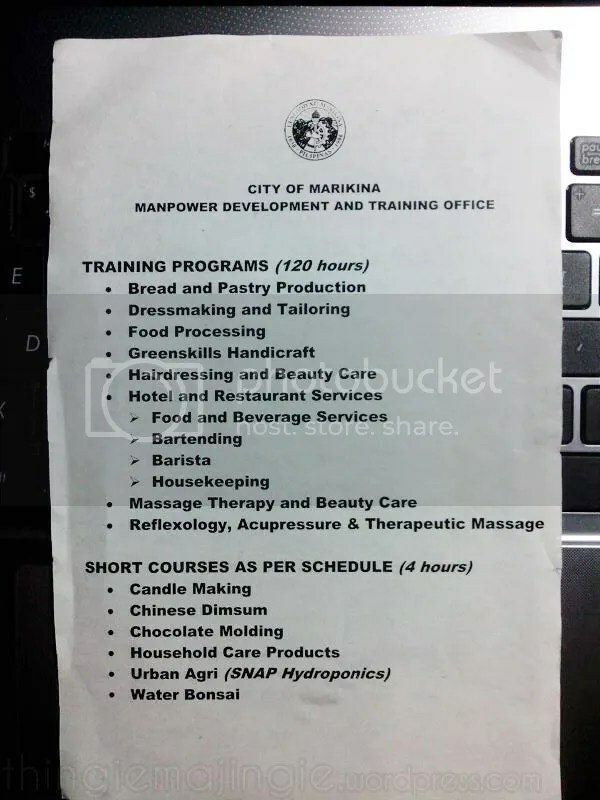 Marikina City: Free Training Programs! Rejoice, my fellow inhabitants of the Shoe Capital! If you’re looking for ways to add more skills and talents (plus a way to generate income while expressing creativity of all sorts and sizes — how awesome is that! ), Marikina City is offering a yearly on-going free training programs for all Marikenyo’t Marikenya! I’ve been seeing these livelihood program ads everywhere last year and I only had a chance a day ago to visit their office at Marikina Sports Park to reconfirm IF the programs were still active. And they still are, yes! Thanks to Kuya Teng – aka Sir Demetrio – who was very accommodating and for letting me know more details of the programs. 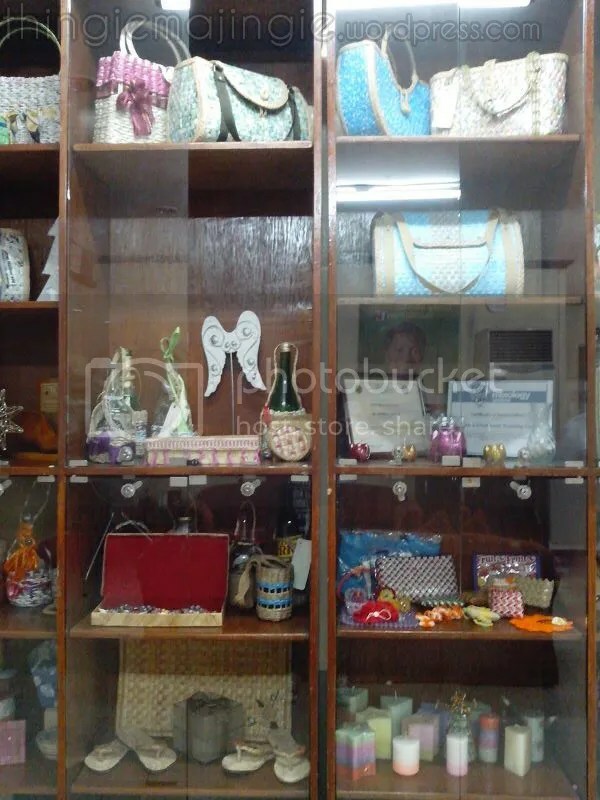 Plus a quick tour of the livelihood programs’ outputs displayed inside their office. I was so excited and I couldn’t wait to submit my application to start making my own stuff! Dressmaking and Tailoring – I’ll be signing up for this! Hairdressing and Beauty Care – I’m also very interested with this too! Reflexology, Acupressure and Therapeutic Massage – something useful I’d actually consider. Chocolate Molding – HEY HEY HEY! Chocolaaates! Sooooo got spare time and nothing to do? Want to learn more and add more of what you can do? Looking for ways to express those artistic pursuits while earning as you go? Then sign up and submit and start learning new skills at Marikina City’s Manpower and Development and Training Office’s programs. I’ll see you there! ☆～（ゝ。∂） And I’ll definitely blog about my after-adventures here! And, oh no, I’m not in any way affiliated with MDTO or any of its staff to be sharing this. And that is why I’m very excited to start a new thing with them! It’s been four months since I last submitted my form to MDTO and called in a few times (a month after) in regards with my schedule and enrollment. They told me about texting me to inform me the details but I never got any as of yet. They once said about an on-going batch and that I should wait for it to finish. So I did call them today and found out that the program I signed up for hasn’t started. I was properly filled in by Miss Iya who told me the current circumstance of the on-going advance course had only a few attendees during orientation. Should this continue the advance course would halt and the basic course will reopen for new students. So if you guys are interested in signing up for Dressmaking and Tailoring like I am, come visit their office and fill in their form! Four days ago I received their sms notification in regards with the Dressmaking and Tailoring Classes schedule (and others like Food Processing, Hairdressing and Beauty Care and Massage Therapy) which are now up and ready for batches of students! Yesterday – Monday – there was a seminar conducted at CENTEX, City Hall (about Gender and Development plus Human Rights topics) for those who signed up for the programs too. A-must seminar for livelihood programs like these, as MDTO stated. For those who are still interested to learn Dressmaking and Tailoring, the program is still accepting applicants! Good day po. I just want to inquire kung ano po ang available schedules at kung meron pong babayaran and how much po. thank you and more power po! It’s much more advisable to personally visit the MDTO office that is located at Sports Center (the side of Shoe Avenue) for schedules. In terms of bayarin, there’s no admission fees. 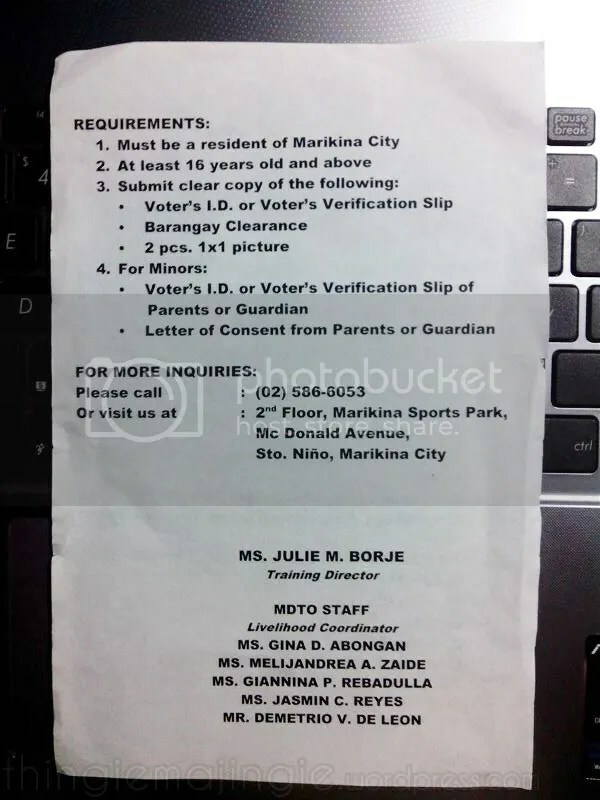 The programs are for free for all Marikina City citizens. hello sir mam pwde poba ako mag aaral po ng cosmitolgy meron poba may bayad poba taga antipolo city po ako thank you po i hope u reply.. 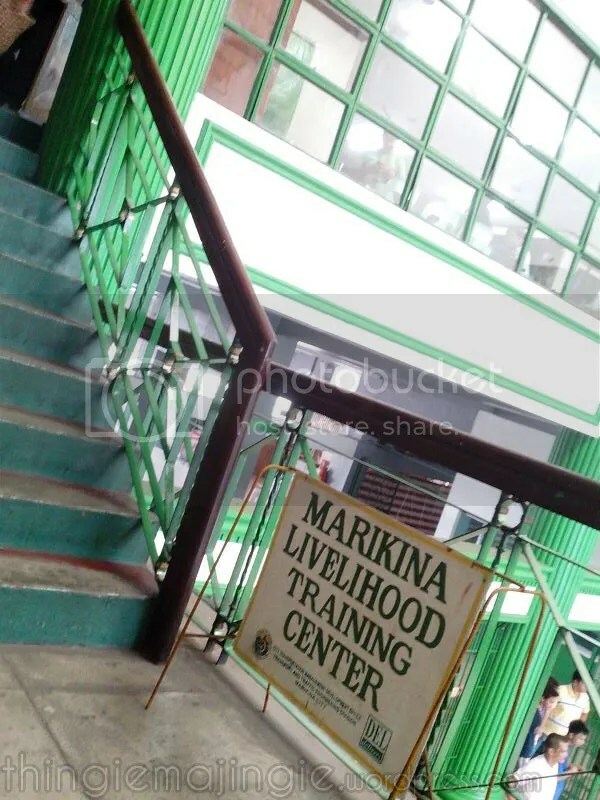 Unfortunately the Marikina Livelihood program is only open to Marikina City-residents. I believe Cosmetology studies are available at Cubao, QC. I cannot be specific — I just saw an ad-post about it. Sa tingin ko po ay weekdays lang po ang mga programs. 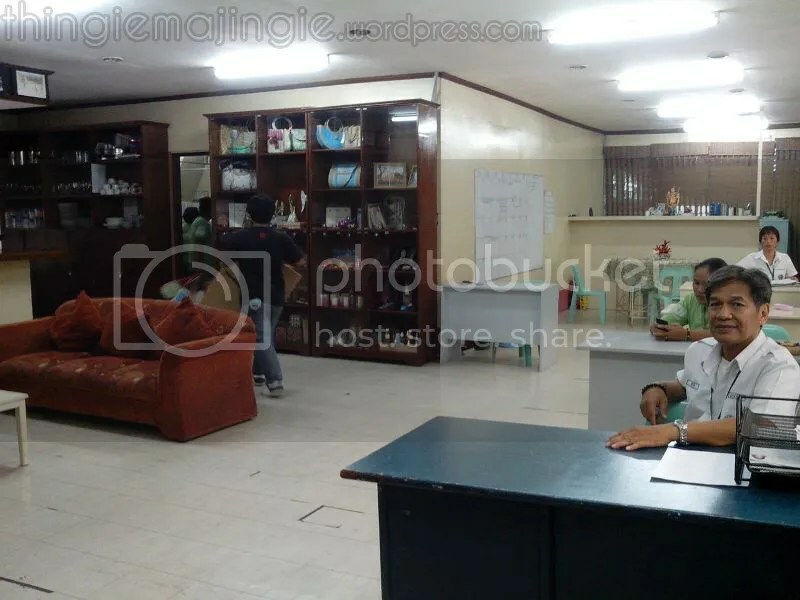 At tuwing weekends ay sarado po ang government offices.